Two world-renowned destinations are showcased in one photo-packed book! More than 240 full-color photographs by Andrea Pistolesi, a detailed street map, informative text by Carl Benn and user-friendly index make this an invaluable companion for visitors to Toronto and the Falls. Readers will explore Chinatown, museums, mansions, forts and gardens in Toronto. 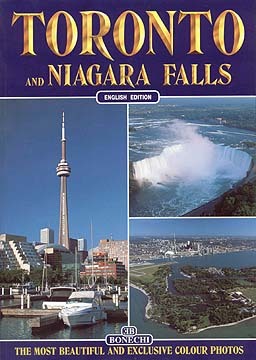 The Niagara Falls section highlights such attractions as Cave of the Winds, Maid of the Mist and Skylon Tower.